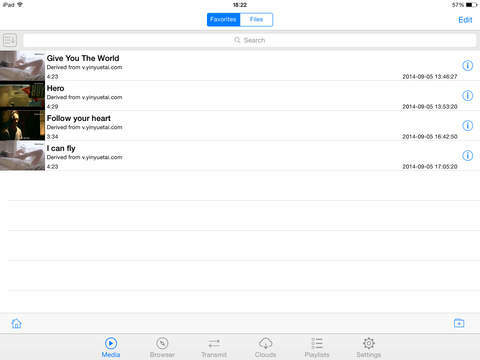 Free Video Collect Plus For iOS8 – Download this app to create your own video collection. FREE FOR LAST DAY !!! New Year Special !! Free Video Collect Plus, is committed to providing the best video collection service. You will enjoy absolutely reliable quality and have great user friendly experience. 3.Tap it and the video will be collected, and you can enjoy it right away. -Search videos through build-in Browser. 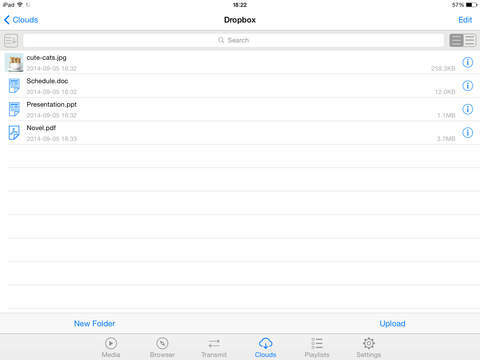 -Sort your favorites and local files by name,date or size. -Bookmark all your favorite websites for quick access. -Collect videos in just one second. -Support copy,delete,move,sort and rename video files. -Support all popular formats:mp3, mp4, m4v, 3gp, m3u8 and mov, etc. Free Video Collect Plus, makes your favorite videos at your fingers！What are you waiting for ? Download it now! NOTE: Free Video Collect Plus is not a video downloader. All videos that you collected should be played online.